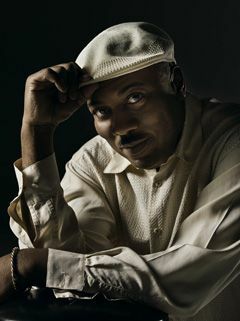 Alonzo King, Founder/Artistic Director/Choreographer of Alonzo King’s LINES Ballet in San Francisco, California, is a world-renowned contemporary ballet choreographer for stage, film, opera, and television. King has created works for Alvin Ailey American Dance Theatre, Dance Theatre of Harlem, Frankfurt Ballet, and Swedish Royal Ballet, among others. He is the recipient of many prestigious awards, including the NEA Choreographer’s Fellowship, Irvine Fellowship in Dance, 2005 Bessie Award for Choreographer/Creator, 2008 Jacob’s Pillow Creativity Award, and the San Francisco’s 2nd Annual Mayor’s Art Award in 2008. King holds honorary Doctorate degrees from Dominican University of California and California Institute of the Arts. King, son of Valencia King Nelson and civil rights activist Slater King, spent part of his childhood in Georgia, later moving to Santa Barbara, California, where he began his dance training with June Lane. King continued his training in New York City at the Harkness School of Ballet, Alvin Ailey School, American Ballet Theatre School, and School of American Ballet. King’s early performing experiences include an apprenticeship with Alvin Ailey American Dance Theater, and brief engagements with the Harkness Youth Company, Dance Theatre of Harlem, Bella Lewitzky, Donald McKayle, and several European companies before leaving New York City in 1981 for San Francisco. In 1982, upon his arrival in San Francisco, King decided his passion lay in creating works of choreography and he founded Alonzo King’s LINES Ballet. King’s choreographic style is based on the clean lines of classical ballet training infused with non-Western spirituality and movement traditions that place intention and quality of movement over customary ballet shapes and steps. Integral to King’s work is the use of structured improvisation. Through this method, each dancer in LINES is encouraged to push past individual comfort zones to find new ways of moving fluidly from the traditional geometric designs associated with classical ballet, into varied non-Western movement disciplines. King’s trademark choreographic methods require dancers that are physically hyper-flexible, as well as mentally and emotionally willing to constantly push past individual comfort zones. King’s vision for ballet of the 21st century is one that actively seeks to represent global cultures through dance by collaborative ventures with non-Western movement forms. One of King’s recent international movement collaborative projects, entitled Long River, High Sky (2008), explores the fusion of elements of classical ballet and the movement traditions of Shaolin monks. In the fall of 2006, Alonzo King’s LINES Ballet formed a partnership with Dominican University of California and created the West Coast’s first joint Bachelor of Fine Arts in Dance. This program is the only BFA offered in the United States that is led by an active master choreographer.